Wear your Wookiee side! The Star Wars Chewbacca Head 3D Pendant Necklace is made with stainless steel and features the head of Han Solo's copilot, Chewbacca. 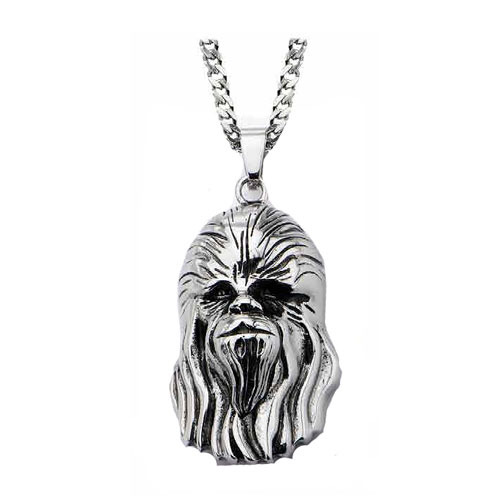 Sport your Wookiee pride with this awesome piece of jewelry! Pendant measures about 1 1/2-Inches tall.